O2 and Orange have started to place bulk orders for micro SIM cards which are compatible with the Apple iPad. Until this week, most of the tech world was not au fait with what a micro SIM card was, but it appears to be a new standard of cards which will eventually take over from the SIM cards of old. There's a reason not many know what a micro SIM is and that is because Apple is one of the first manufacturers to use the format. It's highly likely though that now such a giant of the tech world has announced its love for the format that many other companies will follow. The news that O2 and Orange are buying these cards in bulk does point to the two telcos readying themselves for when the 3G version of the device hits the UK June/July time. 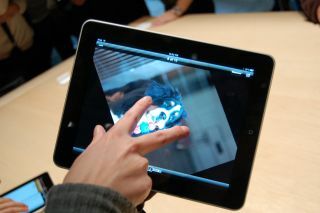 Although, neither has officially announced it will be stocking the iPad. Of course, if you are not bothered about 3G, then you will be able to pick up a Wi-Fi version in March.